Shortcuts are designed to save users’ time and make their work more convenient. 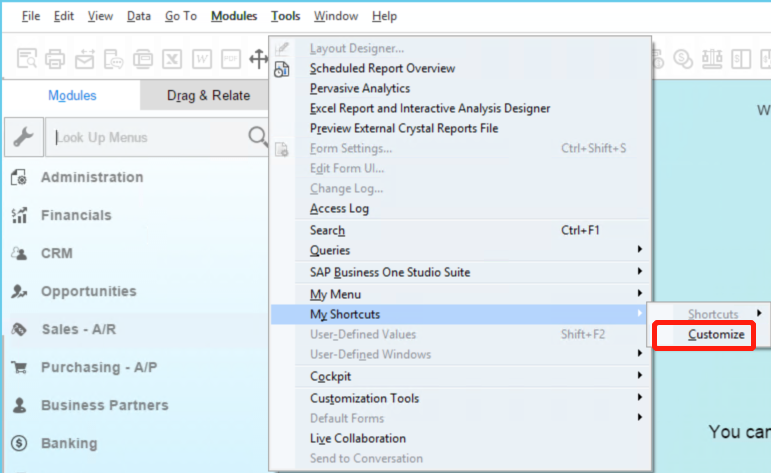 SAP Business One allows users to customize the shortcuts on their own. 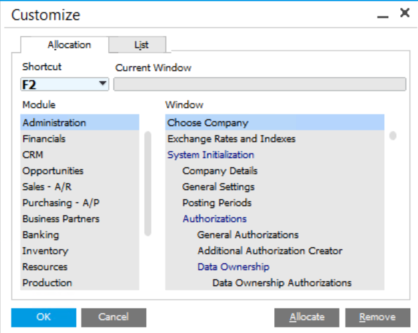 SAP Business One allows users to assign F2 to F12 to target documents, such as Sales Order, Delivery, or A\P Invoice. After a user assigns the shortcut, the relationship will show up on the list and the user may use the shortcut to open the document next time! If you are interested in how to record the packing information and track it in the documents, please visit Packing Slip in SAP Business One.